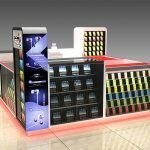 There are many materials used to make mobile display cabinets and accessories kiosk. Mall used cell phone kiosk is usually used for indoor. So we have plenty options to choose from. But not all the material suit for building a mall kiosk . 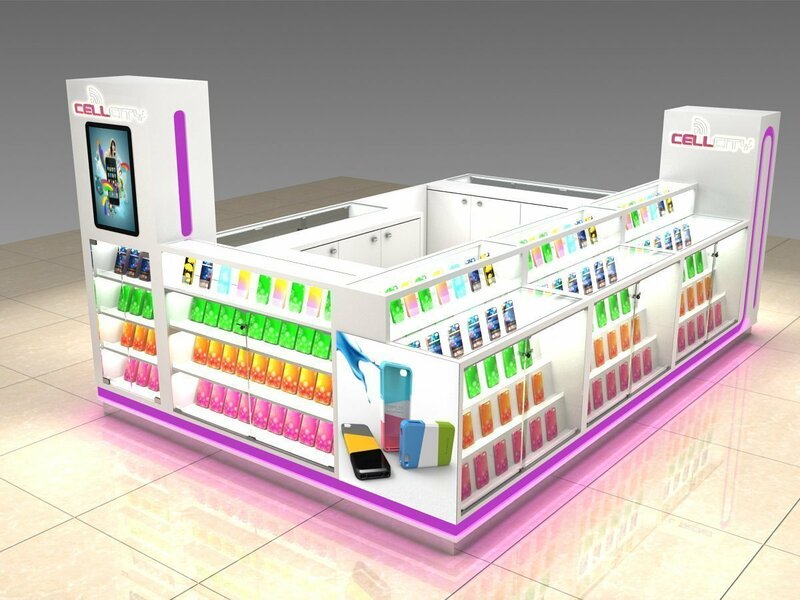 Here blow are 4 main material that we used on mall cell phone kiosks. the most used, is also the most common. It has good adjustability, can make various shapes and effects, the price is cheaper, and easy to obtain, but there are also some disadvantages, more heavy, whether it is made before or after the mobile cabinet, it is not easy to move. For wood, we usually have two types. one is plywood the other is MDF (Medium density fiberboard) , Those two material are widely used in most of mall cell phone accessories kiosk and repair kiosk . So if you went to a kiosk factory to check the material , Those two will be the first choice. 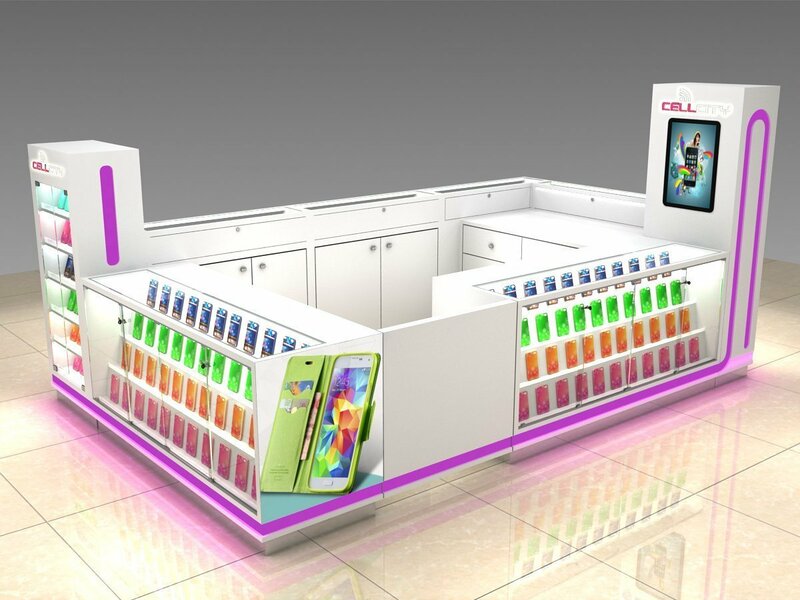 the mobile phone cabinet made of glass has a good effect, has a certain permeability effect, can give people a sense of greater space, but like wood, it is also cumbersome, but also fragile, so we must be careful in the process of manufacturing and transportation of mobile phone cabinet. which may not have been heard by many people, are widely used in jewelry. There are many acrylic jewelry on the market, which looks bright and translucent, appears to be more upscale. The bad thing is that it is easy to break, and the price is more expensive. But relative to his effect, the price is acceptable. 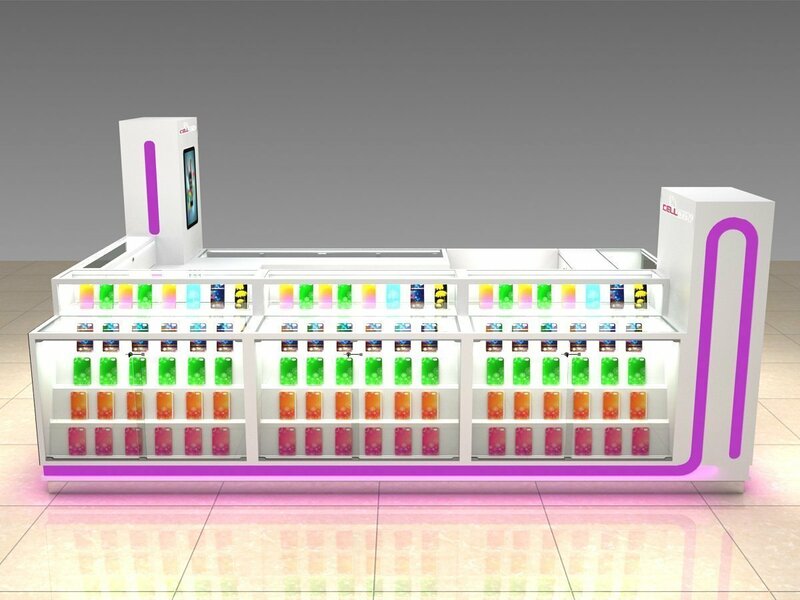 general mobile phone cabinets contain metal structure, which is indispensable. Of course, sometimes you need to use some stainless steel materials to do the effect. 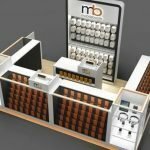 No matter what material you are using on building a mall cell phone kiosk . The design is most important. You just need to work with designer and get the kiosk organized first and when you confirm a material this will be a most fit to this kiosk. There’s not a so called best material or only . The most suitable is always call the best.